The frigate here portrayed is intended to represent the Shannon entering the Port of Halifax. Carritt & Alport were dry goods merchants. 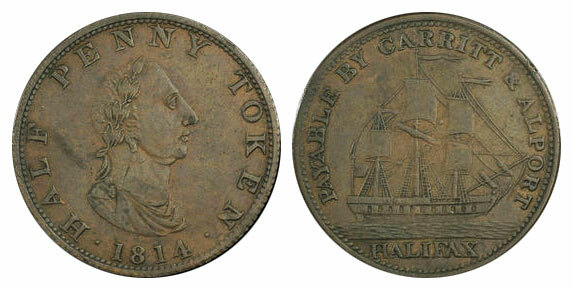 Text : Half Penny Token 1814. Payable by Carritt & Alport - Halifax.